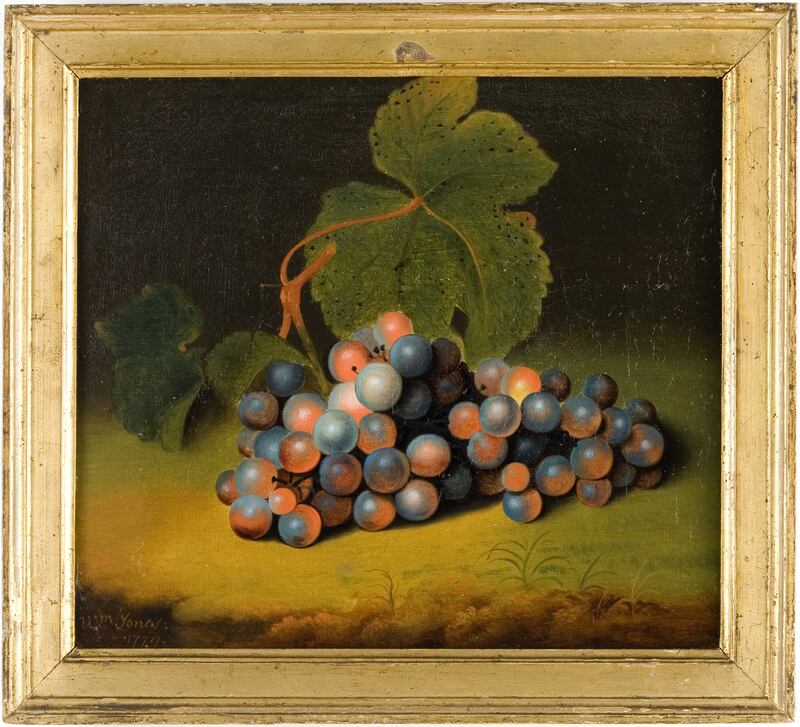 A still life of grapes painted oil on canvas and within the original gilt-wood frame, signed and dated by the artist, Wm. Jones 1779. William Jones of Bath was a still-life painter who settled and exhibited in Bath in 1769 having previously exhibited in both London and Derby. He later moved to Newcastle and continued to paint there until his death.